Speaker Gloria Macapagal-Arroyo paid her respects to the late Metrobank founder and Chairman George S.K. Ty, who passed away on November 23. The Central Luzon politiko delivered her eulogy for Ty during the latter’s wake. “Truly, a rare combination. It may be some time before we see someone like him again,” said Arroyo. BANKING LEGEND. 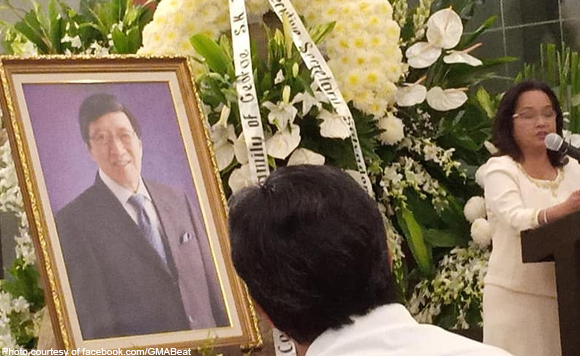 SGMA paid tribute to Metrobank Founder and Chairman Dr. George S.K. Ty in her eulogy during his wake….